We all take the occasional shortcut in life. Whether driving a certain route to work to shorten our commute or crossing the street between intersections instead of using the crosswalk - we are always looking for a faster way to do things. However, taking shortcuts at work can increase risk exposure and undermine job safety policies set forth by the organization. Taking shortcuts on the job is a sign of poor SafetyDNATM. Employees are statistically six times more likely to experience an accident or injury as a result of unsafe behaviors, such as taking shortcuts, than unsafe working conditions. One large insurance firm even reported that 92% of their reported injury and workers’ compensation claims occurred because workers were not performing their tasks properly. Faced with these numbers, why do individuals continue to take shortcuts on the job? Is it simply human nature to want to complete a task as quickly as possible? Are the demands of the job or the organization causing employees to act unsafely? Is the employee attempting to impress his or her boss with their level of production? More importantly, how can employers motivate workers to prioritize safety over speed while maintaining high production? All too often, taking shortcuts results in negative outcomes. For example, one of the worst aviation disasters in history occurred in 1979 at Chicago’s O’Hare airport, in which an American Airlines jet crashed, killing all 271 people on board and two airport employees on the ground. The subsequent investigation revealed that two months prior in Tulsa, Oklahoma, mechanics working on this plane had taken shortcuts in removing the engines from the wing pylons for maintenance, which cracked an aluminum component in the pylon. Wear and tear during the flights afterward widened the crack, and eventually the pylon broke, causing the engine to tear loose. Although this is an extreme example, even small accidents can prove to be quite costly, and organizations have a business interest in encouraging employees to avoid shortcuts and behave safely. According to OSHA, nearly three million nonfatal and 4,383 (3.2 per 100,000 full-time workers) fatal workplace injuries were reported in 2012. The direct costs of injuries at work (e.g., workers’ compensation claims, medical costs) total approximately $250 billion annually. Furthermore, the indirect costs felt over time (e.g., lost work time, lower morale, poorer customer relations) add to this number in less obvious ways. Clearly, the risks associated with taking shortcuts far outweigh the small potential benefits of completing a task more quickly. In an ideal world, employers could design jobs such that the safe way to work is also the easiest and quickest way. 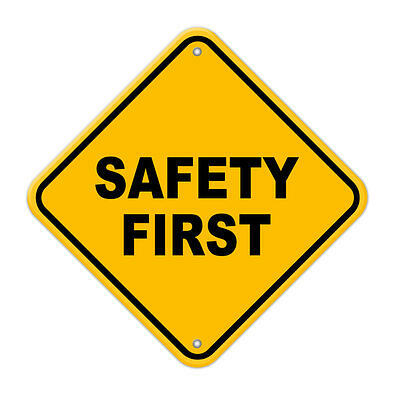 However, some jobs are inherently more dangerous than others, and organizations must do everything in their power to engender high employee SafetyDNA so that these hazards are not unnecessarily compounded by unsafe behaviors and added risks from taking shortcuts.